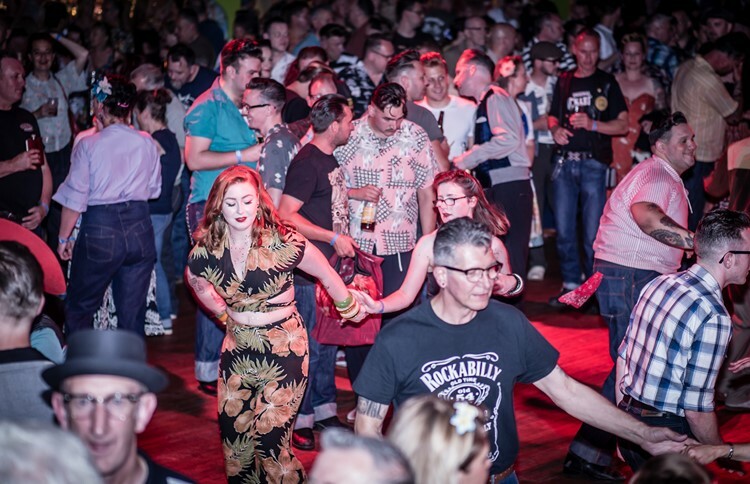 From 11-18June 2018 the 22nd Rockabilly Rave takes place at Camber Sands UK. Featuring 30+ of the world's top rocking acts, in this week's show we take a sneak preview at just some of them. Ripsnorting rave-ups from Colton Turner, Delta Bombers, Los Volidos, Smalltown Casanovas, Scotty Baker, Lew Lewis and the Twilight Trio, Paul Ansell and Number Nine, Shaun Young and the 3 Ringers , Go Getters, Mariann and The Tri-Tones , Dr. Marcel Bontempi`s Snake Oil Company, Lucky Bullets, Wise Guyz, Doel Brothers, Dave & Deke Combo, Jack Rabbit, Same Old Shoes , Jack & The Real Deals, Bob & The Bearcats, The Spunyboys, and Rusty and Doug.